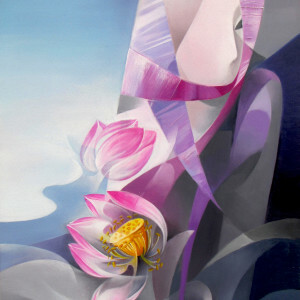 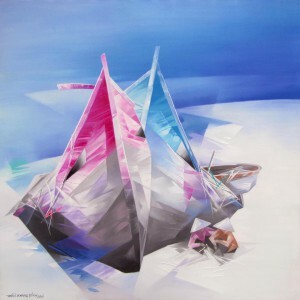 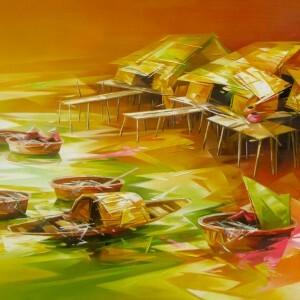 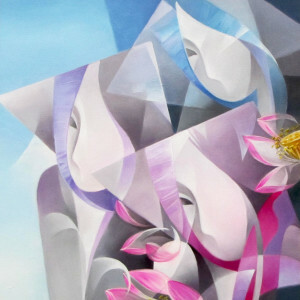 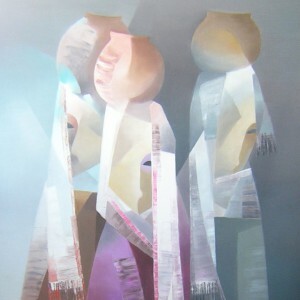 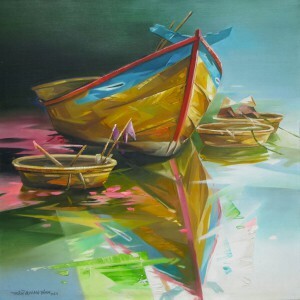 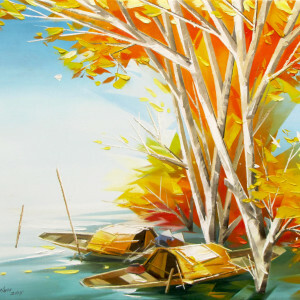 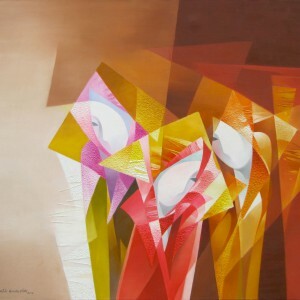 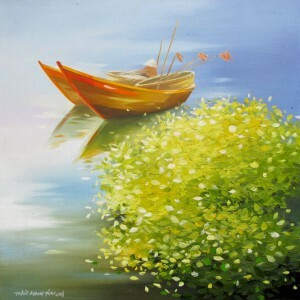 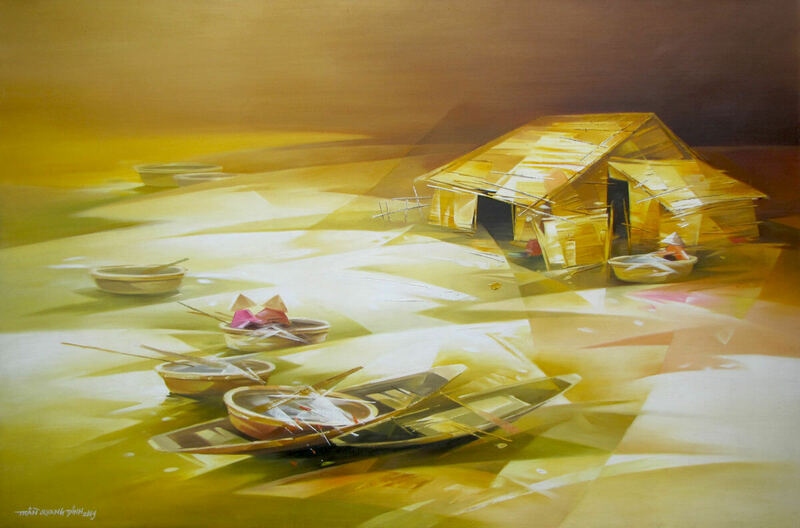 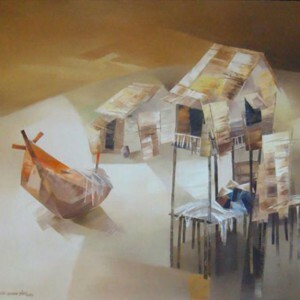 The works of contemporary Asian artist Tran Quang Dinh are noticeable for their abstractness. 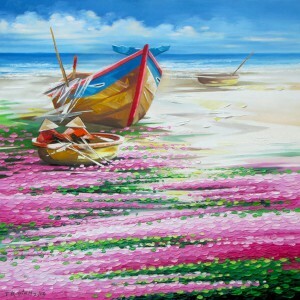 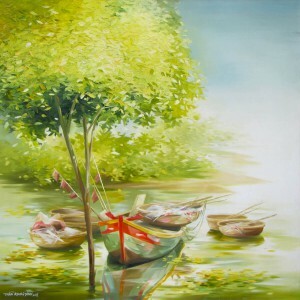 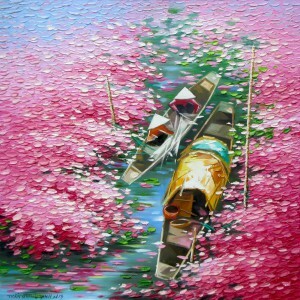 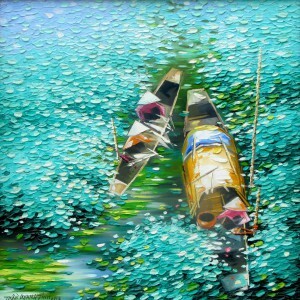 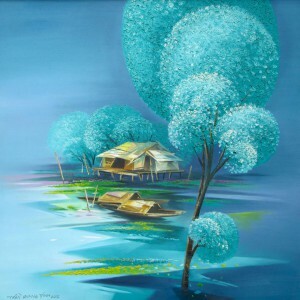 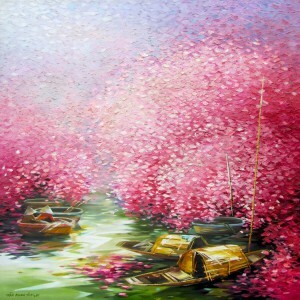 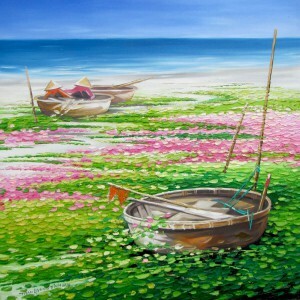 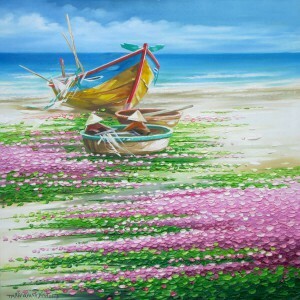 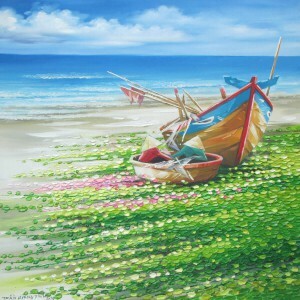 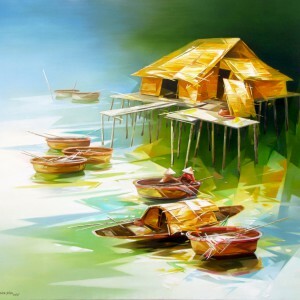 A common theme of Vietnam art is presented stylistically. 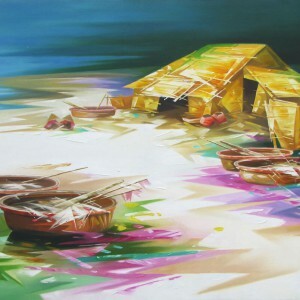 Despite featuring human figures, huts, boats and river, his landscapes seem unearthly. 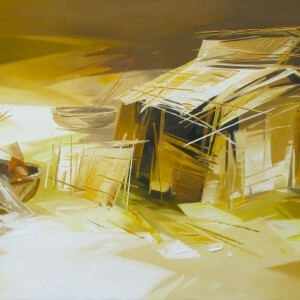 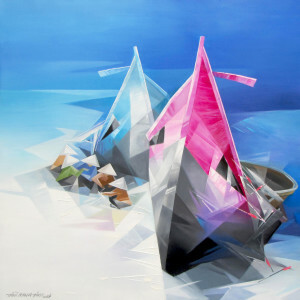 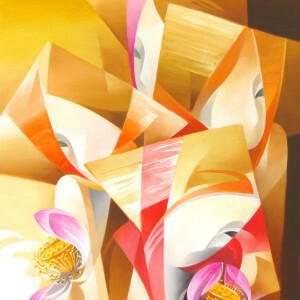 The effect is created using a palette uncommon in nature, and geometric drawing adds an inner dynamism to this piece.